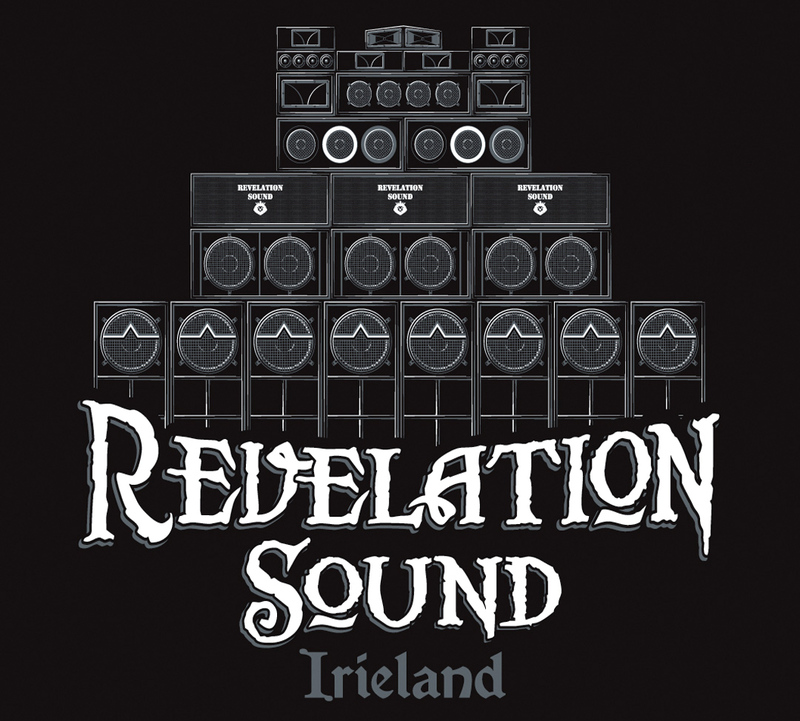 Cork's Revelation Sound System are twenty one years hosting sound-system events around Ireland & Europe. On a technical level Revelation Sound are making leaps in terms of reproducing a superb quality of sound reproduction. Revelation sound-system are consistently upgrading their technology, combining analogue and digital gadgets and machinery married with a full spectrum of speakers, scoops and bass bins to reproduce a crystal clear rich heavy roots sound that you can feel as well as hear. Revelation’s sound has been the introduction to deep bass and conscious music for many over the last two decades, promoting some of the top producers and artists on the national and outer-national dub scene. At Revelation Sound System events, focus is a combination of early roots classics up to the latest upcoming releases, peppered with vocals, live instruments and MC's. 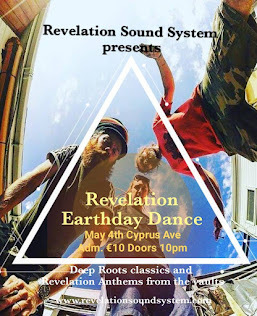 Revelation Sound System started reproducing conscious roots reggae sounds during 1997 when friends Benji-Rev and Jermiah-Lodica began playing records on local pirate radio stations and clubs around their home town of Cork city. As radio slots became regular shows and with a growing audience, Revelation Sound soon began organising and producing club nights locally, using radio airtime to promote roots reggae artists and their music. They held regular weekly sessions in Sir Henry's and other popular venues. In 1997 their very first booking in Cork saw the 'Bush Chemists', play to a packed house followed by a live show on local radio. The Revelation team are consistently upgrading their sound system, combining analogue and digital technologies married with a full spectrum of speakers, scoops and bass bins to reproduce a crystal clear, rich heavy roots sound that you can feel as well as hear. Revelation’s sound has been the introduction to deep bass and conscious music for many, promoting some of the top producers and artists on the national and outer-national dub scene. At Revelation Sound events the focus is a combination of early roots classics up to the latest upcoming releases, peppered with vocals and live instruments. 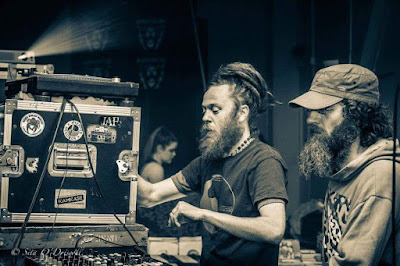 During their time immersed in sound system life, the Revelation duo were connecting and strengthening links with producers and artists both at home and abroad. These studio collaborations making the following releases possible: 'King David' vocal. Released on 'Echobus 2014', was the first offering from Revelation's mic man Benji. Chanting on an 'irie-land ryddim' in a raw roots style. Next came 'Destination' vocal, Released on 'WBC – World Bass Culture 2015', came as the second release. An up-tempo steppa ryddim with the lyrical message driven home by Benji's deep tones. The 'Conspiracy' vocal on 'Imperial Roots Records 2017' is the first vinyl recording with a Benji Rev vocal. Playing out as a pre-release this work has been well received worldwide and this 'Conspiracy' vocal and musical combination with 'Imperial Sound Army' has brought forth exchange sessions from Irie'land-Italia and more recordings await release. Working with artists from the global dub community has been an important focus for Revelation over the last two decades. 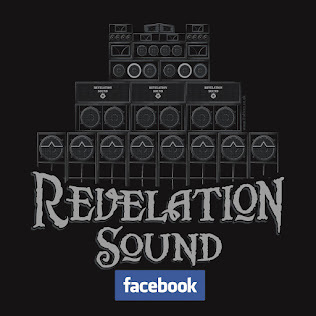 Artists that have played on the Revelation sound-system include legends such as Jah Shaka, Iration Steppas, Channel One, Alpha & Omega, Conscious Sounds, Mungos HiFi, Bush Chemists, Culture Freeman, Chazbo, Imperial Sound Army, Kebra Ethiopia, Murrayman, The Disciples, Jonah Dan, Delroy Dyer, Wayne Mcarthur, Big Toes HiFi, I-Mitri Counteraction, Radikal Guru, Mr. Williamz, Cian Finn, FyahRed, Tenja plus many more. As Revelation Sound celebrate two decades of sound system life, they have more musical goodies in the pipeline with new releases and 'Revelation Sound-System' sessions both at home and abroad. Including 'Earth & Power' 12” vinyl release, featuring 'Redemption' melody with Benji Rev on low whistle, this seals the year nicely for Revelation Sound's year twenty. Benji Rev and the crew at Revelation Sound are looking forward to connecting with more people through 'Jah music' in 2018 and beyond!